If a deal goes through parliament, Brexit never ends. The mood in every part of the country, and across the political spectrum, is one of fatigue and wanting this moment to end. But Britain’s departure from the EU isn’t the end of the Brexit moment – it’s the beginning of it in earnest. If we leave, we face something like 10 years of complex negotiations over the real substance of our future relationship, with the same cast of characters and the same impasses. Brexit is already draining our politics, drowning out the real issues and the public debates that we so desperately need to hold. We have just a few years to prevent irreversible climate catastrophe. Hundreds of thousands of people are homeless in this country. Academisation and cuts are rotting away at our schools. The NHS is being dismantled. Local government has been cut so deeply that social care and community services will take years to recover, even when funding is restored. The richest 10% of people in the UK own 45% of its wealth. Labour has the answers to these problems. Since 2015, our party has been on a journey that has seen it break from the establishment politics of the past. Our 2017 manifesto was the starting point for a transformative government and the transition to a sustainable economy. Thanks to our turn to the left, we are the only social democratic party in Europe to be on the up rather than facing electoral oblivion. As longtime socialists and supporters of Jeremy Corbyn, we are proud to be playing our part in working towards a socialist Labour government. There is a reason for which so many Tories are willing to grit their teeth through this level of chaos, division and instability. Brexit is a project designed to deregulate the economy and precipitate a race to the bottom in standards and protections. For the class the Tories represent, this means profit. For working-class people, it means falling wages, lost jobs, less rights and guaranteed austerity. The rich will always have free movement – it’s just ordinary folk who will experience the borders, family breakups and deportations. A final say is now the demand of a huge and growing mass movement. This Saturday, we will be marching with the Left Bloc on a gigantic Put It To The People protest. We urge all Labour members to join us at 11am at Stanhope Gate. We are proud that Labour has come out for a final say, and that it will be whipping for the Kyle-Wilson amendment next week. But whipping alone will not be enough – we need to build a case for transforming Britain and Europe, in parliament and in the country. As socialist Labour MPs, we are going to organise together to fight against Brexit and end this nightmare. We urge you to join us. 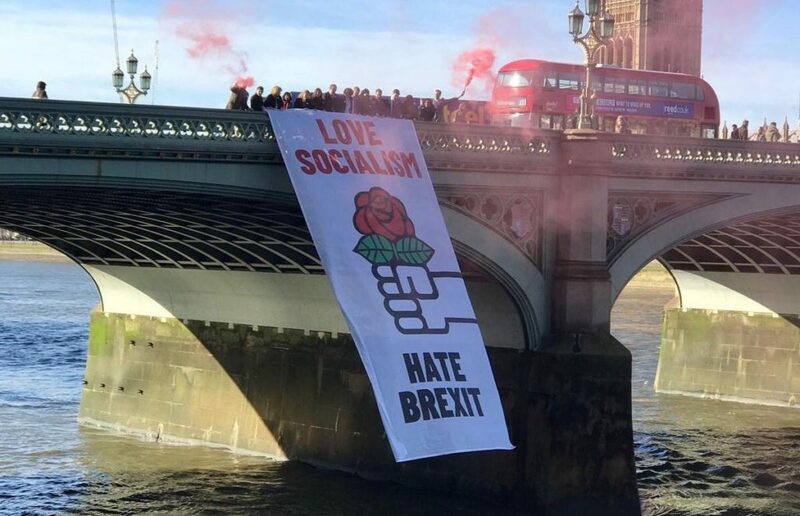 Love Socialism Hate Brexit is a group of radical and socialist Labour MPs fighting to stop Brexit. We will be writing a column for LabourList every Thursday until the Brexit crisis is over. You can find out more about us here, and follow us on Twitter here. Kate Osamor is MP for Edmonton.